This was our biggest and most extensive conference yet, and I've put together a social media round-up for those of you who missed the meeting or want to relieve some of your favorite moments. 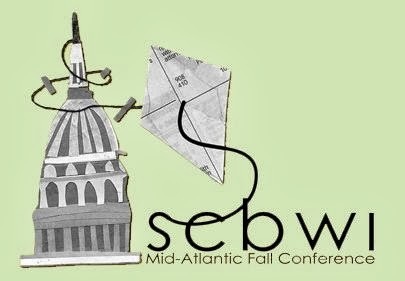 If you have highlights, pictures or comments about the 2013 SCBWI Mid-Atlantic Fall Conference, but sure to link to them in the comments or tag them with #SCBWIMidAtlantic on twitter. Conference Co-Chair Erin Teagan created a funny and fabulous list of Ten Things about the 2013 MidAtlantic SCBWI Fall Conference. Erin and Val Patterson did an amazing job coordinating this event, and Regional Advisor Ellen Braaf is just about the most welcoming host anyone could ask for. *As a wonderful new addition to out chapter, Elizabeth Metz gave an illustrator's perspective on the meeting. This was also her first time attending an SCBWI conference, and her "notebook doodles" are both insightful and beautiful. You can still read all the tweets about the conference even if you didn't have the change to attend the meeting yourself. People shared words of wisdom, encouragement and networking opportunities. Follow SCBWI Mid-Atlantic on Facebook! 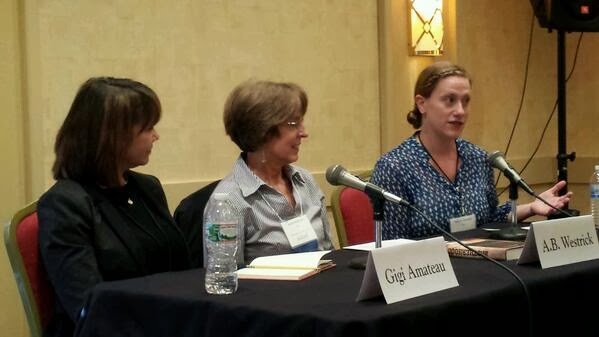 While the page administrator Anne Marie Pace wasn't able to attend this year's conference (she was speaking at her alma mater's homecoming), there are a lot of comments and highlights and questions about the conference going around. 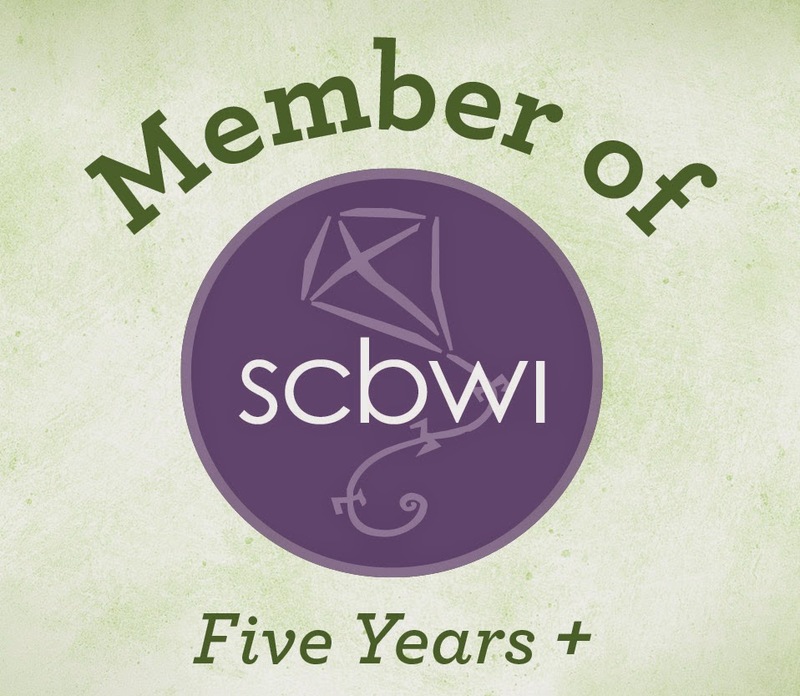 It's also a great place to find out about events and book releases for local SCBWI members throughout the year. I wasn't great about taking pictures or notes this year, but I do have a couple to share. 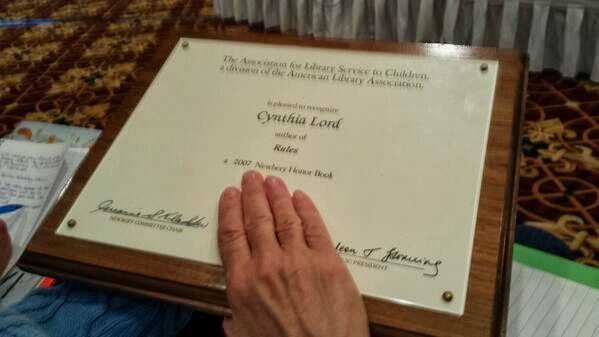 My friend Judy Egan makes her wish on Cynthia Lord's Newbery Honor plaque for her book Rules. VCFA represents with Anne Westrick, author of Brotherhood, and Hannah Baranby, author of Wonder Show. Gigi Amateau, not a VCFA grad but still a wonderful and prolific author, also joined the panel.